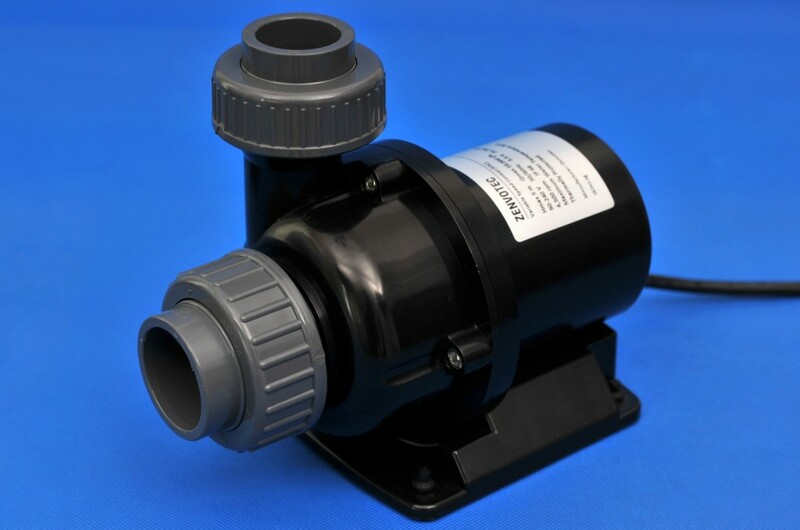 Skimz Zenvotec is a variable speed controllable pump which offer high flow rate and low power consumption. 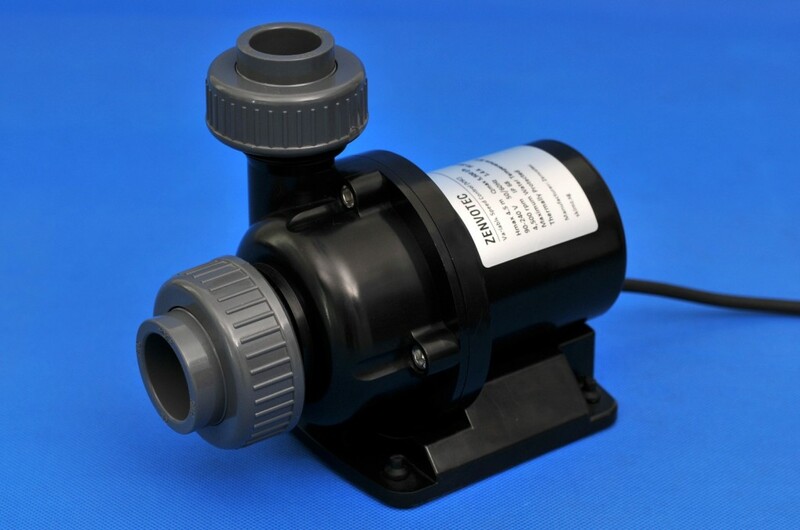 The pump is silent in operation due to brushless DC (BLDC) synchronous motors. 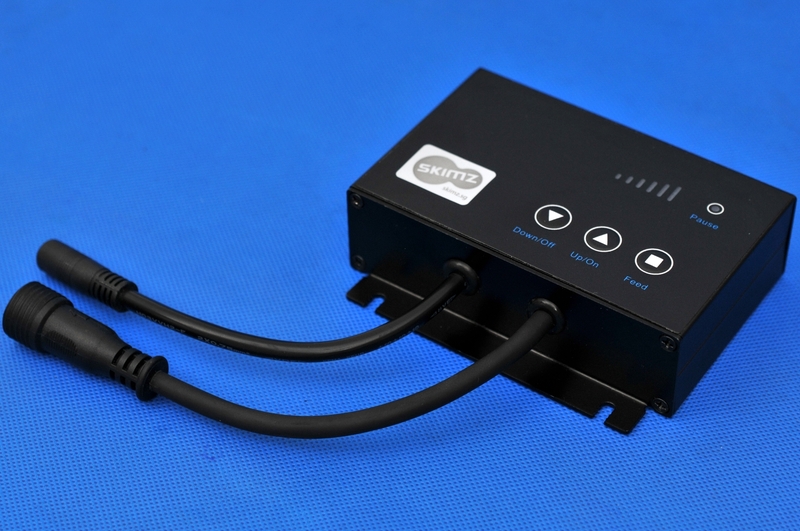 You can adjust the speed to meet your performance requirements, makes it an energy-saving solution. The Zenvotec range consists of six different models. Skimz Zenvotec ZD55 DC Pump (5,500 l/h). 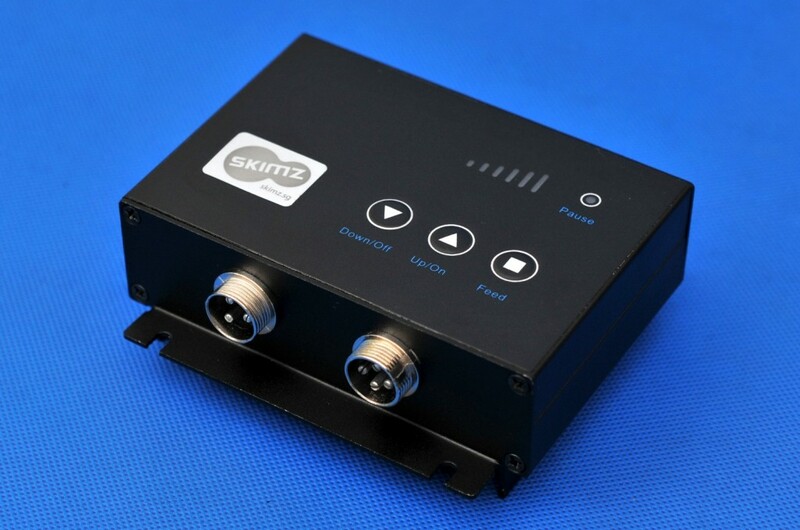 Skimz Zenvotec ZD55/ZD70/ZD80 DC Pump Controller. 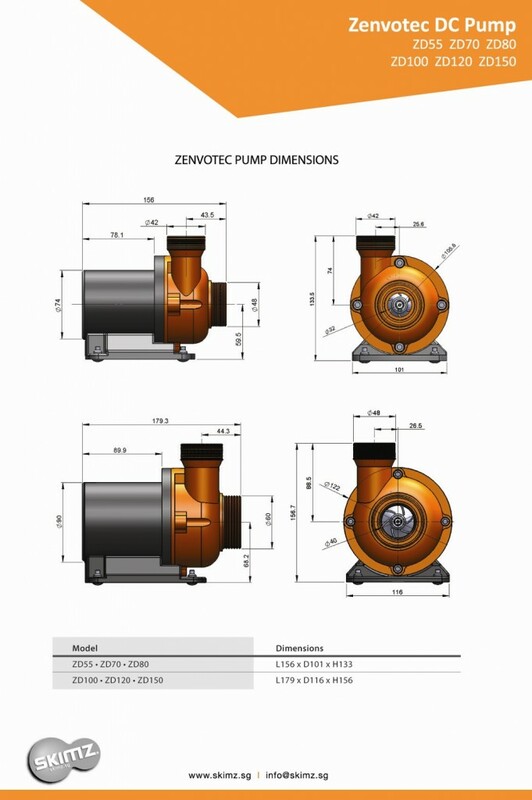 Skimz Zenvotec ZD100 DC Pump (10,000 l/h). Skimz Zenvotec ZD100/ZD120/ZD150 DC Pump Controller. 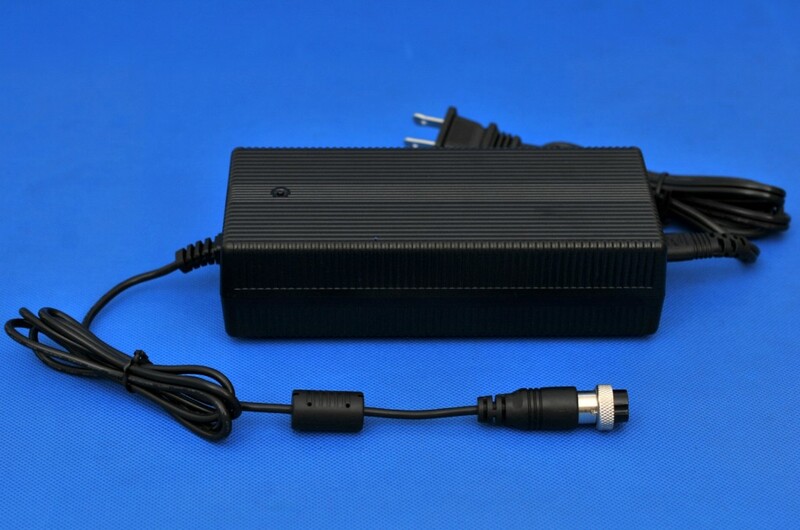 Skimz Zenvotec DC Pump Power Adapter. 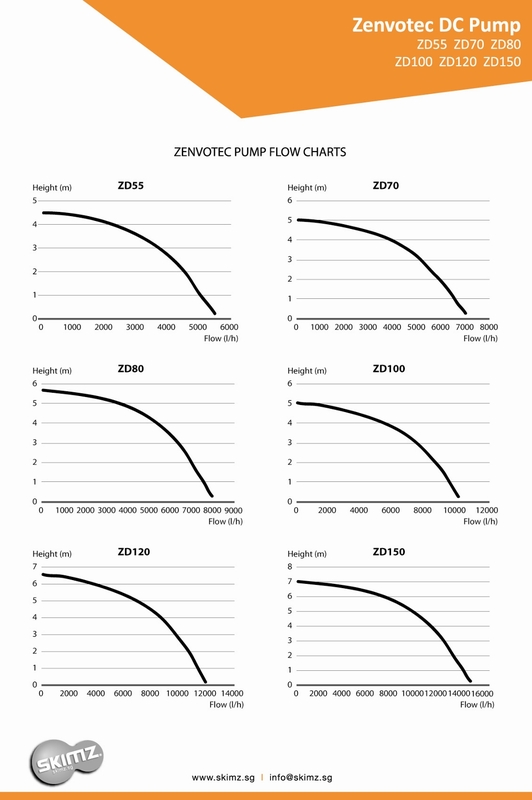 Skimz Zenvotec pump flow charts.